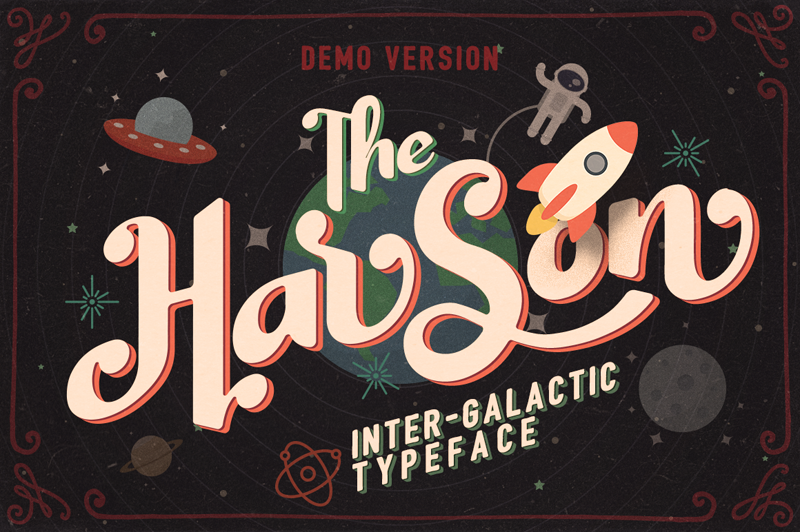 This is DEMO VERSION of Harson. Please visit http://store.weirdeetz.com/#harson to get the FULL VERSION for $15 only. What will you get on the full version? - Regular, Italic, Soft and Soft-Italic style. - Standard characters set (uppercase, lowercase, numerals, punctuations, and currency symbols). - Multilangual (Accented characters available). - Uppercase Alternates (best used as opening character). - Lowercase Alternates (best used as final character). - Contextual Alternates (auto generate final lowercase alternate when typing). Hope you enjoy my stuffs.